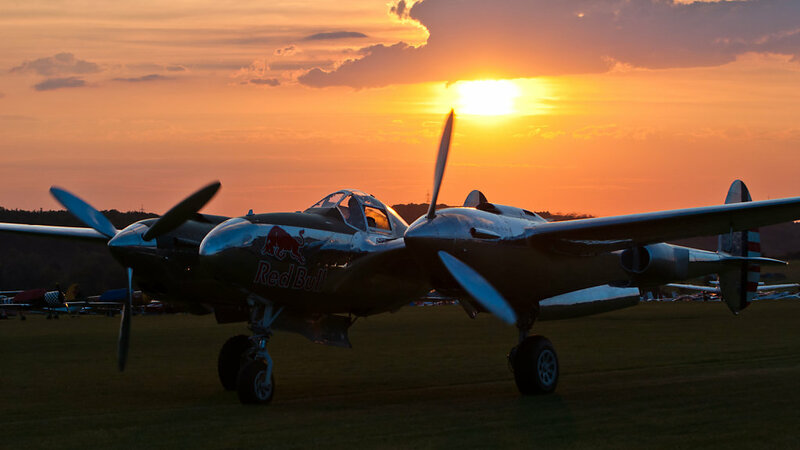 Red Bull (The Flying Bulls) Lockheed P-38L Lightning (reg. N25Y, cn 422-8509, built in 1944). Engine: 2 × Allison V1710 (2 × 1.475 hp).